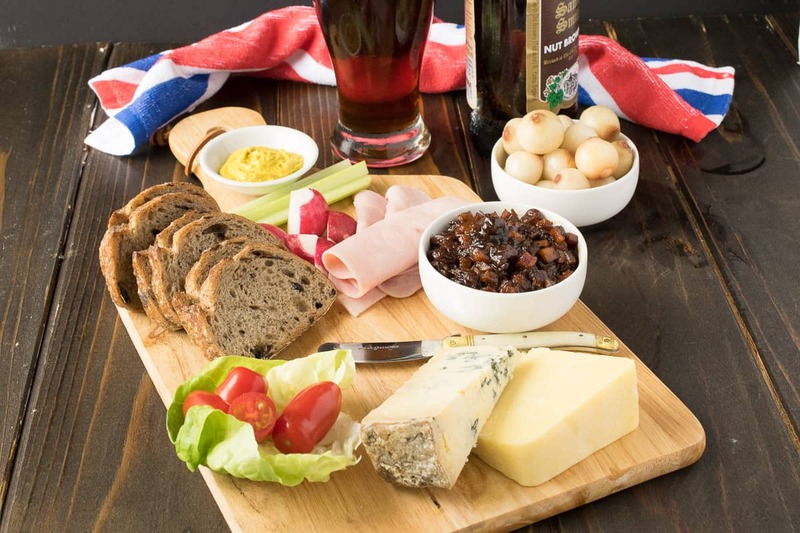 Ploughman’s Lunch is a a very British and extremely popular pub lunch item. A meal consisting of cold meats, cheese, bread, pickle and of course, beer. It’s like a picnic on plate. First, a little history lesson. In typical British fashion, the origin has much been debated. Only dating back to the 1960’s (which is really new by British standards! ), it is said that it was devised as a marketing tactic by the English Cheese and Milk Marketing Board to promote the sale of cheese in pubs. However, it was also mentioned in the 1837 book Memoirs of the life of Sir Walter Scott by John G. Lockhart, but it was a very vague reference as ‘a lunch for a ploughman.’ So nothing really ground-breaking for the history books, but historic nonetheless. The components to the lunch are quite specific, there must be a couple of semi-hard cheeses, English of course. Bread, ham and some pickle elements like pickled relish and pickled onions. Secondary, optional items could be sausage rolls or a Scotch egg (a hard boiled egg wrapped in sausage meat, breaded and fried). Peppery radishes add a nice fresh crunch as well as celery and cherry tomatoes for a sweet colorful bite. You could also add English mustard. To drink? A nice, foamy ale or stout beer, of course. It is English after all. The Ploughman’s lunch is a perfect meal to eat on a warm Summer day sitting outside of the pub on picnic benches enjoying the rare warm sun and drinking a nice cold (yes, we do drink it cold) beer to wash it all down. Cheers! If you’ve tried this Ploughman’s Lunch or any other recipe on the blog then don’t forget to rate the recipe and let me know how it turned out in the comments below. I love to hear from my readers! A meal consisting of cold meats, cheese, bread, pickle and of course, beer. It's like a picnic on plate. Arrange all the meat, cheese and vegetables onto a wooden cutting board. 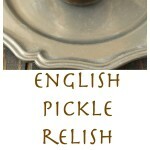 Put the pickled onions, pickle and mustard in small bowls. Pour beer into beer glasses, serve and enjoy. What a fantastic spread!! I love a casual and delicious meal and everything about this sounds so great! 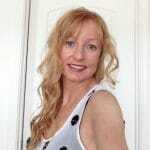 This is a GREAT post, Janette! It’s years since I’ve had a ploughmans but reading this made me feel all proud of English food traditions and want to go out tomorrow and find one of these and eat it outside a nice country pub (shame about the cool day predicted tomorrow though). Sadly though in the UK it’s actually quite rare to see this on the menu anymore – I’m not sure why that is (it’s all Thai fish cakes and pulled pork these days) but hopefully they’re due a revival because a good ploughman’s lunch is a very satisfying thing and goes beautifully with a pint of beer on a summer’s day. And the traditional Great British pub itself is sadly a dying institution… dozens of them closing each week and only the ones that have turned themselves into upmarket restaurants seem to survive outside of touristy areas. What a delicious spread. I love this! This all came together beautifully. Everything looks fabulous. This looks like a wonderful lunch to me! 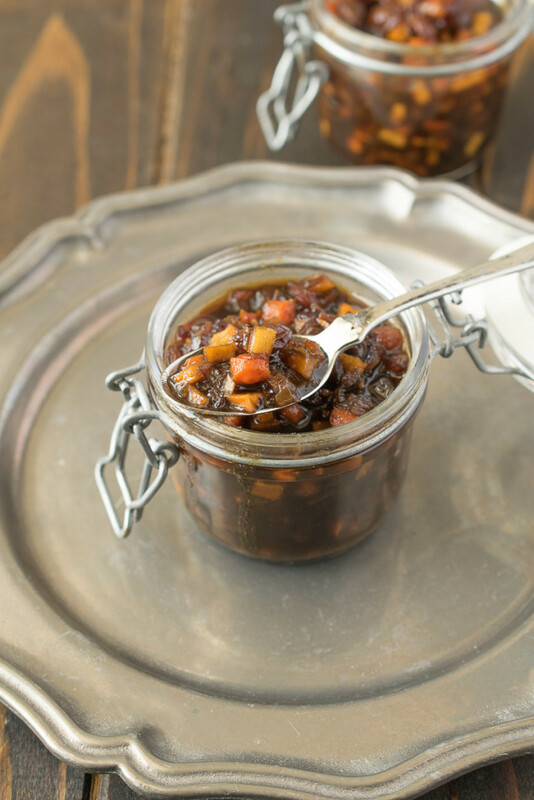 And pickled onions…yes please! This looks delicious Janette! That pickle relish in the middle looks especially awesome. That has just got to be sooo good with the cold cuts. I love a good pub meal. There are so many wonderful cheese options. What kind of British beer goes best in a Ploughman’s lunch? I think a dark ale would be a great choice for this. Love everything in this Ploughman’s Lunch! And I love the history behind it! Need to try it! I often make similar lunch (week day, when I’m by myself), but I use whatever ingredients I have! Love Stilton cheese! It’s my favorite way to eat. Thank you Mira.